Every Maiden needs a dragon! She stands in front of him (tiny in comparison) holding his chain, controlling her pet. She's givin him a jeweled collar and he's all hers. His wingspan is about 6 1/2 inches. 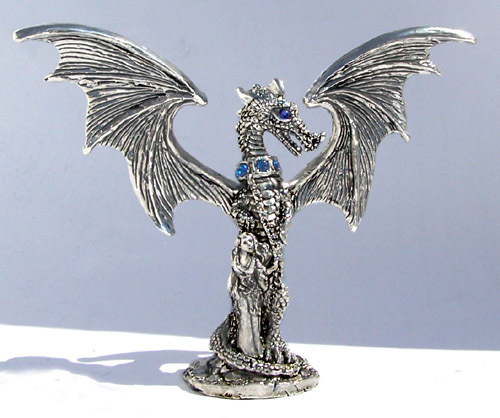 We make them by hand from lead-free pewter with Austrian crystals for his eyes and in his collar.